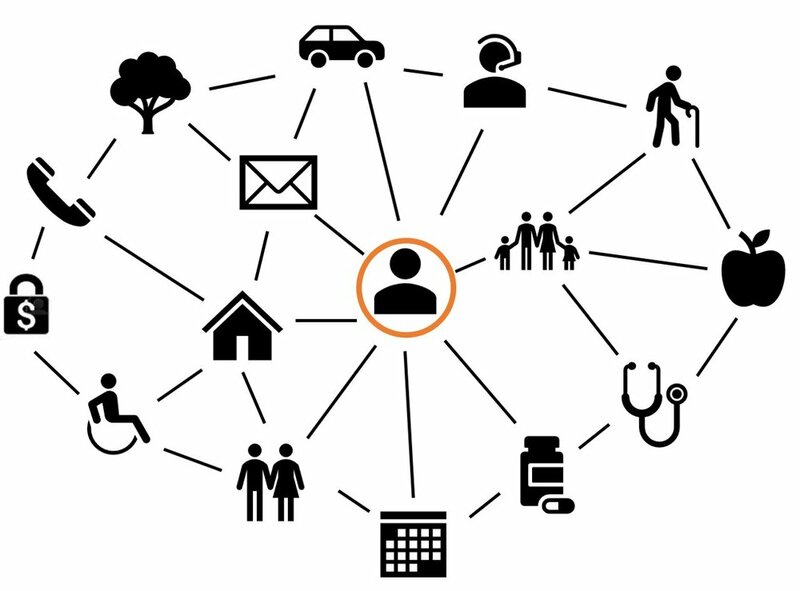 Silos to Circles is working to catalyze more integration, connection and effectiveness across the health services continuum through rural integration and coordination. To pilot this effort, Silos to Circles partnered with four rural communities in 2016—Moorhead, Perham, Crosby, and Southern Chisago County—to facilitate a process that identified community assets that enable people to thrive in their rural communities as they age. Work previously accomplished in Winona, MN was used as a model. After completing the planning process, a subgroup of Silos to Circles members worked to secure a 30-month grant that will fund the implementation of community plans and the documentation of strategies for replication and scaling. Across each of the communities, plans revolve around two principle goals: a local resource hub and personal navigation for older adults and those who support them. Throughout the planning process, it became clear that the communities had an impressive variety of powerful assets available, but there were huge gaps in awareness of those assets among community members and even service providers. Services that may have been life-changing went unnoticed, and virtually no one in the community had a clear picture of the entire network of services and supports or how that network might support a given family’s needs. In response, the primary aim of the local resource hub is to increase awareness and connectivity to these important services, supports, events, and programs. The hub’s information can be accessed online, but is also embedded in the community to reach people where they are. The resource hub is differentiated from pre-existing resource lists/databases by its distinctly local brand and unique collection of services. It acknowledges the reality that so much of what keeps us healthy happens outside of interactions with health care per se. As a result, the resource hubs will include not only formal services like health, housing, and long-term care options, but also informal supports like home maintenance, dog walking, health promotion programs, and non-medical transportation. Even more broadly, they will seek to promote social connection in order to combat the isolation that frequently impacts aging communities. In addition to the hub, there was also a clear need for personal navigators who could point an individual or family to the right network options for their situation. To achieve this, communities will focus on developing personal navigation capacity that can be paired with the resource hub. Navigation may take several forms, spanning from a staff-based navigator model, to a volunteer navigator cohort, to “mini-navigators” who receive training and supports to provide this capacity in their normal work. In January 2018, Perham, Moorhead, Crosby, and Southern Chisago County will begin their process of designing and implementing these plans. Supported by a Silos to Circles advisory team and technical assistance, each community will develop a unique approach that will ultimately inform replication tools to help spread a higher quality of life for aging populations. Check back in a few months to find out what we are learning!